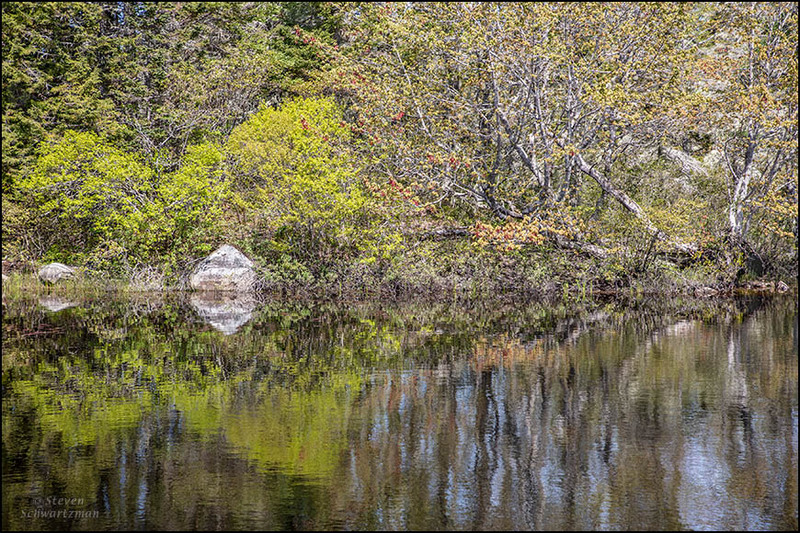 Following coastal roads west from Halifax, Nova Scotia, on June 4th, I stopped in the vicinity of Chester to photograph pretty tree reflections in a pond. 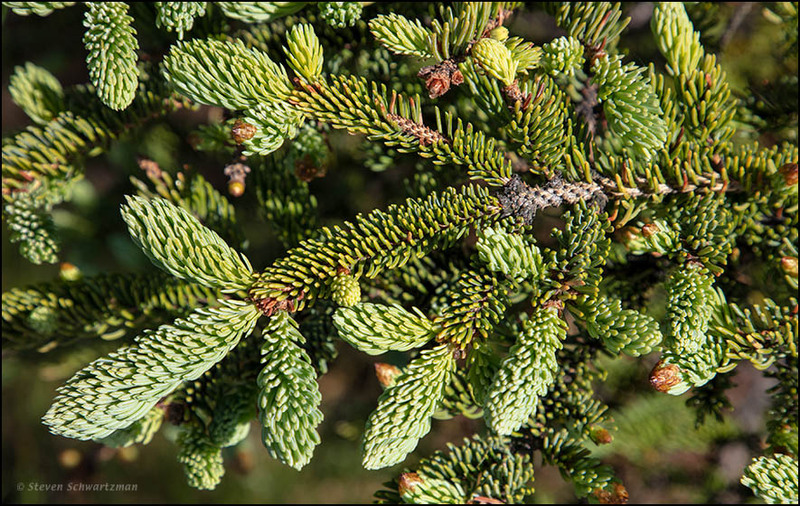 Upon climbing back up from the bank of the pond, I noticed the new growth on a nearby evergreen tree. 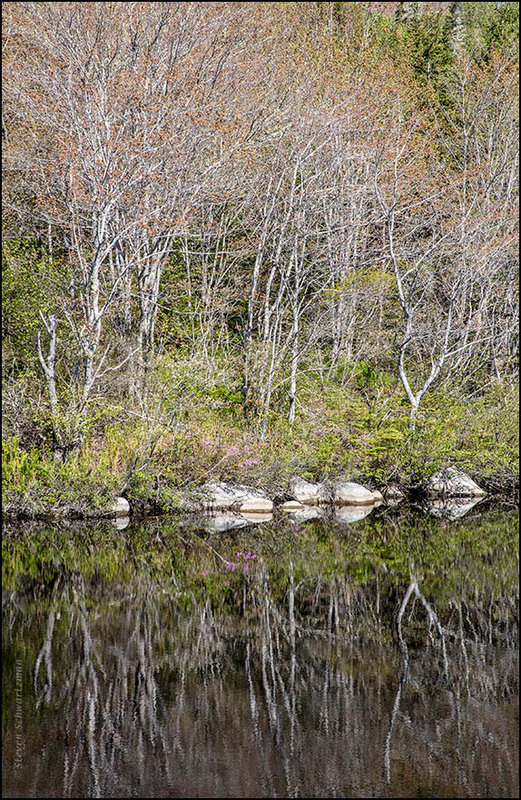 About half an hour later and further west, I stopped to photograph attractive reflections in another pond. 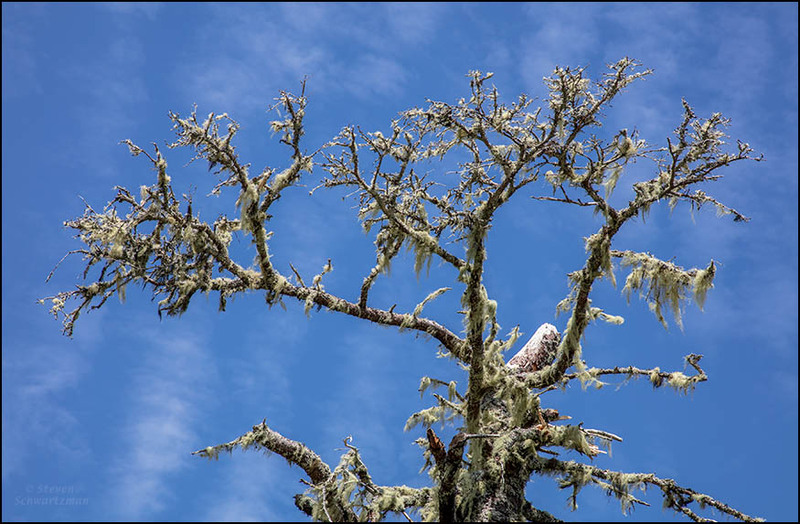 Upon climbing back up from the bank of that pond, I noticed a nearby tree that had died and was covered with beard lichens.